​EnTrance - a 3 hour journey into the bodyverse. These sessions are all unique. Every one is different. Expect to dance in ways you never have before, with a gorgeous, warm, generous, authentic, willing tribe of fellow travellers. Message me with any questions, and hope to see you on the dance floor! ​Green Square Hall, Sydney 3 Joynton Ave BUT please don't come this way! Enter via Portman St, see map and directions. Plenty of parking. Doors open 15 min before. There will be a mix of electronic trance music and live drums, piano, flute, vocals, and N'Goni as we create a living dance in the moment, together. Something must die for something to live. What are you ready to let go? How often in our lives are we told to listen to external authority, to hand over our sovereignty to those who ‘know what’s best for us’? How often do we listen to the voice that tells us that we ‘should’ behave a certain way, look a certain way, be a certain way, and in the process we shrink a little, or put our own needs last? Or worse still, start to believe that we are smaller than we really are, or that our needs don't matter.. Inside each and every person is a guiding principle, a wild instinctive voice which knows who and what we truly are and why we are here. This voice has the ability to make decisions that can lead us toward a healthy, nourishing life. If we listen. If we let it. If we trust ourselves. We'll be meeting that instinctive part of ourselves in this 3 hour journey into the pure unbridled wisdom inside all of us. The irrepressible Clive Lochner from The Melting Pot will join us once again with his unbelievable energy, to bring the live jungle drums. I'll be moving from DJ to piano to flute to drum to n'goni to vox to who the heck knows... if you have been before you know that these sessions are all unique and evolve spontaneously in the moment. We come together as a tribe, in a safe place, to move what is true, dancing to the beat of our own perfect hearts. We each follow our own path, knowing that we are surrounded by our soulmates in the dance. There is nothing to get wrong. It's all in the body. If you can walk, you can dance. The address is 3 Joynton St Zetland, but due to roadworks, the access is via Portman St, at a curve in the road (see map). Nearest cross street is Hansard. The building is a small single storey (and let's face it, a bit daggy, but we make it fab) red brick building, set back from the road at the end of a carpark (yay, parking), and there will be a gold balloon at the road entrance. Unless someone steals it, which happened last time. Cheeky buggers. ​The map is on the facebook event page, so you can download it there. ​While you're on the event page, please click that you're coming. Thanks. This class defies description. It is a three hour magic carpet ride through a soundscape of trance, live and electronic, in a facilitated deep dive into the 5Rhythms®. ​How are you with beginnings? Are you a 'dive in and figure it out on the way' person? Do you consider thoughtfully and take careful steps? Do you wait for the perfect moment and never take a step? Do you just turn up and hope that Life doesn't kick you in the shins too badly this time? Do you stick your head under the doona and hope the whole thing just goes away? Do you bounce out of bed with a woohoo, high five, and drive everyone around you bonkers with your positivity? There are no wrong answers when it comes to beginnings. We are who we are. But there are lessons in the way we begin things, and it's possible to dance deeper through our patterns and learn from past beginnings, to figure out what actually works for us. This 5Rhythms® EnTrance is about planting seeds. To act in the world we need the seed of Vision. So we will be mining our soul for Vision, using elements of Vision Quest to do so. And we'll dance our patterns of beginnings, trying on different things and learning together how to find our own perfect dance. After this I will be travelling teaching rewilding workshops in Australia and 5Rhythms retreats in Dubai and Belize and New Zealand, so this is our last EnTrance until April!! OMG. 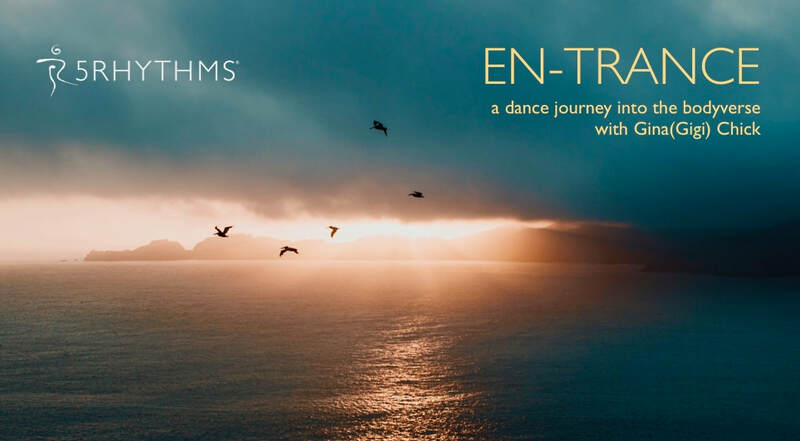 So come and get your fix of EnTrance, the three hour 5Rhythms® dance session where you get to fully embody all the aspects of being human, and move what is true, in a safe container, with likeminded souls. We will be using the Waves map, elements of Vision Quest, live music and the beautiful hypnotic mystery of trance to journey into our purpose and move whatever is in the way of us walking our true path. Or dancing it! As in all the En-Trance classes, there will be a deeper exploration of our masks and stories, using shapes and movement to unravel and unfurl our deepest essence, finding the places where it is safe to tell the truth, and hopefully take that authenticity out into the greater world. Every single one of these classes is different, depending on the energy in the room, the needs of the group, and what is moving in the zeitgeist. And as usual, you'll get my full Gigi force of passion, profanity, energy, faith and awe as you move what is true. Hope to see you there, beautiful humans. As long as humans have been humans, we have danced around the fires of our own hearts, using movement as a doorway to hidden worlds. This 3 hour session is designed to take us on a journey beneath the masks that our personalities don to feel safe in the world, to touch the light of our pure essence as it dances in our bodies, and from there move what is true. When we move into trance, we let go our projections and ideas about the world. We let go what we look like and fall into the mystery that we are. Here is a place where we can die to our idea of ourselves, and find the freedom on the other side, where spirit and soul spread their wings and we soar in the mystery. We stand at the en-trance, the doorway, and in every moment there is a choice; to wake up or stay asleep. The blue pill or the red pill. EN-TRANCE is a chance to make that choice with awareness for yourself, and for anyone you dance for; your tribe, your family, and this living jewel of a planet that we all call home. 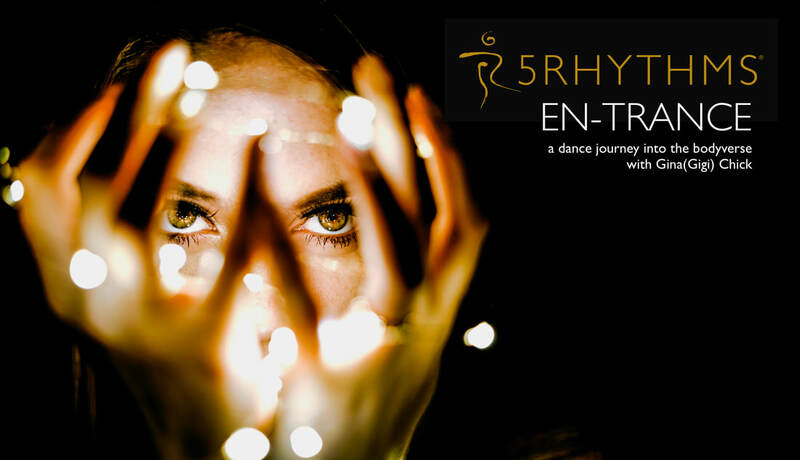 This 5Rhythms® class is for anyone who has ever loved to dance; as a child, a teenager or adult, and has somehow forgotten that place of joy inside. For anyone on a path of transformation, who needs a safe place to do their sacred work. For anyone who is curious about taking their next step. For anyone who hears the call of their wild soul. 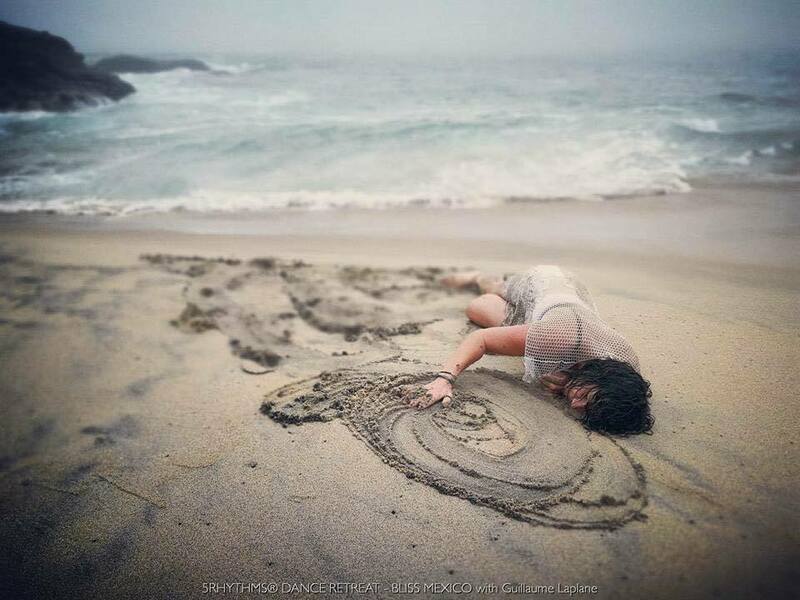 We use shamanic journeying to travel through the unseen spaces within and without, deepening into our own personal dance, that unique fingerprint that only we can share. Our whole universe exists in our own bodies. The only guru is our own heart, and the wisdom of our dancing feet. You don't need to be fit, or have done anything like this before. It isn't about how you look, it's about moving what you feel, however that looks. You take it at your own pace, choose your own rhythm. It isn't about fitting in to something, it is about breaking free of fitting in and discovering who you are when the shackles drop. Come dance with the Sydney conscious community in a celebration of life, in the company of your brothers and sisters. Instead of going out for Friday night drinks, why not spend a Friday night awakening in the best possible way; to yourself, your own perfect path, and the hypnotic beat of your own wisening heart. It's $30 pre-book or $35 at the door if we haven't sold out. If you're interested but don't want to pre-book, keep an eye on the event page as I'll post there if we start to book out. Hope to see you there, loves. EN-TRANCE -Welcome to the Bodyverse. This is the final En-Trance of the year. The last one was AMAZING... we had Clive Lochner drumming live, there was spontaneous live singing and rivers of live piano music and a final meditation with the world's biggest singing bowl, bringing a whole new flavour to our 5Rhythms practice. Clive will be back, the piano will be dusted off again and who knows where we'll end up once the music starts to flow?! What an adventure. This Christmas eve we'll be journeying into the place of endings, of bringing things to a natural conclusion, and finding balance in that in ourselves as we let fall that which no longer serves, with compassion and a big thank you. This class will have an emphasis on self-kindness and sustainability, so we conserve our energy and discover the place where we can move effortlessly, at our own pace. It will also be about community and celebration, and life from the ashes of our transformation. And, as in all the En-Trance classes, there will be a deeper exploration of our masks and stories, using shapes and movement to unravel and unfurl our deepest essence, finding the places where it is safe to tell the truth, and hopefully take that authenticity out into the greater world. For our last class of the year, expect the unexpected. Every single one of these classes is different, depending on the energy in the room, the needs of the group, and what is moving in the zeitgeist. And as usual, you'll get my full Gigi force of passion, profanity, energy, faith and awe as you move what is true.